When working on files, you want to make sure to save those files often in a secure place. You never know when your computer might crash. Most newer applications have an auto save function, but sometimes you need to turn them on. Do you know the short cut to save? 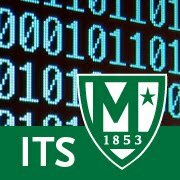 If you want some help setting up auto save on your computer please email its@manhattan.edu for assistance. Remember that when working on a public computer, you should use either a USB flash drive or your Home Server account to store your data. Do not save locally.